So another month has been and gone. Not long now until Halloween! I wish the UK went all out for Halloween like America seems to do. I find Halloween here really boring! Last year my area hardly had any trick or treaters so I'm hoping this year there will be a lot more. Anyway enough rambling for something that is still a month away. Today I thought that I would tell you about some of the products that I have been loving throughout the month of September. Some of these products you would have seen mentioned before so I won't go into too much detail here and when I mention them I will leave a link to the review beside it so you can go and check that out if you want to know more. As you all MUST know by now I am a huge lover of mango related scents. Therefore this mango body mist from The Body Shop is right up my street. It is a gorgeous summery scent that is perfect for every day wear. If you want to know more I did a review along with another mist HERE. Garnier's Intensive 7 Day Hand Cream in Mango Oil is also another product that I have been loving this month. It does exactly what it says on the packaging and keeps your hands soft and moisturized for up to 7 days. I did a review of this product HERE. The next product is a lipgloss that I got in a sun-kissed make up look set from my Aunt last Christmas. The lipgloss is in the shade 'Rich Havana' and is a gorgeous sheer bronze color that looks absolutely perfect in the summer time, especially if you have got a nice sun kissed glow. It is however, a perfect every day shade for the Autumn season as well and because it's sheer would look nice on top of a similar color lip-stick. Throughout September I was reaching for my Boots Vitamin E Eye Cream a lot as the skin around my eyes have become very dry. This cream is super moisturizing, doesn't leave my skin feeling greasy and clears up any lines near my eyes too. A little goes a long way with this product which I love as it means I won't need to keep repurchasing different eye creams. Definitely check this out if you're ever in Boots. A few weeks ago I finally gave into temptation and bought the Collection Lasting Perfection Concealer in shade 3 which is medium. Oh my god this stuff is amazing. Covers all blemishes incredibly well, really hides those dark circles and stays put all day long. I totally think that this product is worth the hype so if you haven't yet checked it out please do. You will not be disappointed and if you're anything like me you will find that this becomes a holy grail product. Another product I've been loving is the Barry M Gelly Hi Shane Nail Paint in the shade Watermelon. It's a dark green color (think the outside of a watermelon) and just looks gorgeous on the nails. Super shiny, doesn't chip easily and lasts quite a long time as well. Very cheap and affordable too so next time you are in superdrug definitely pop this into your basket. Now you all know how much I love the bubblegum lip scrub from lush. Smells incredible, leaves your lips in tip top condition, tastes amazing. What more can I say really? I have done a review on this product too so click HERE to find out more. My final favorite product this month has been a limited edition blush from MAC and it is the Pink Buttercream Blush/Highlighter. I absolutely love this as it is so so gorgeous and looks absolutely gorgeous on the apples of my cheeks. I don't find it is that pigmented on my skin but the color is still very noticeable and if you didn't already know I love the more natural look. This was limited edition so I don't think it is available to purchase anymore. 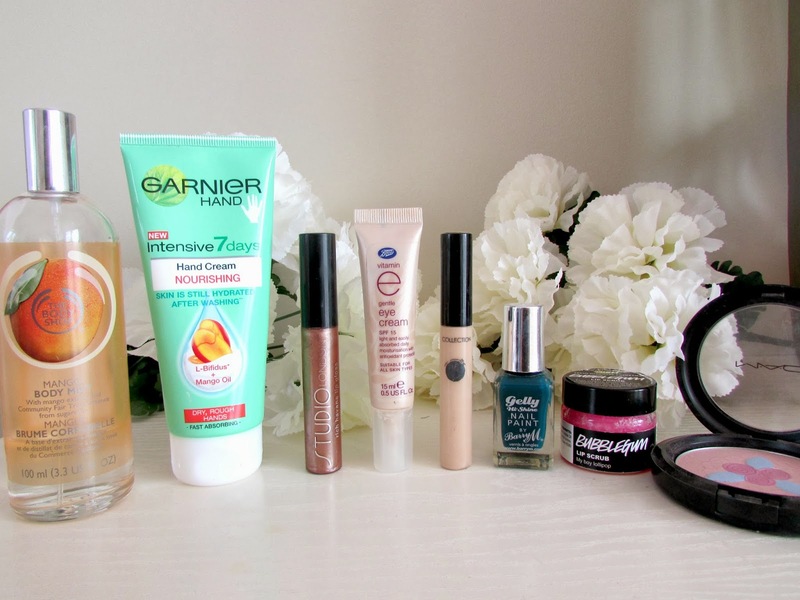 So those are all my favorite beauty products of September. I cannot believe it is nearly October. Such a scary though. I am seriously looking forward to the colder weather kicking in though. What have been your favorite products during September? 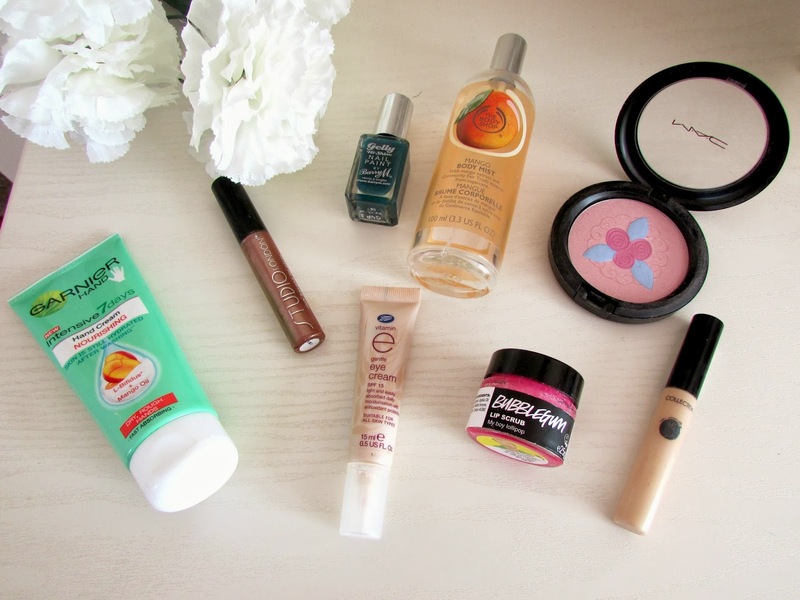 I am in the US and I love to see what beauty products other bloggers from around the world are loving. I want to get my hands on some of these products, they sound amazing! I constantly hear great things about that collection concealer. 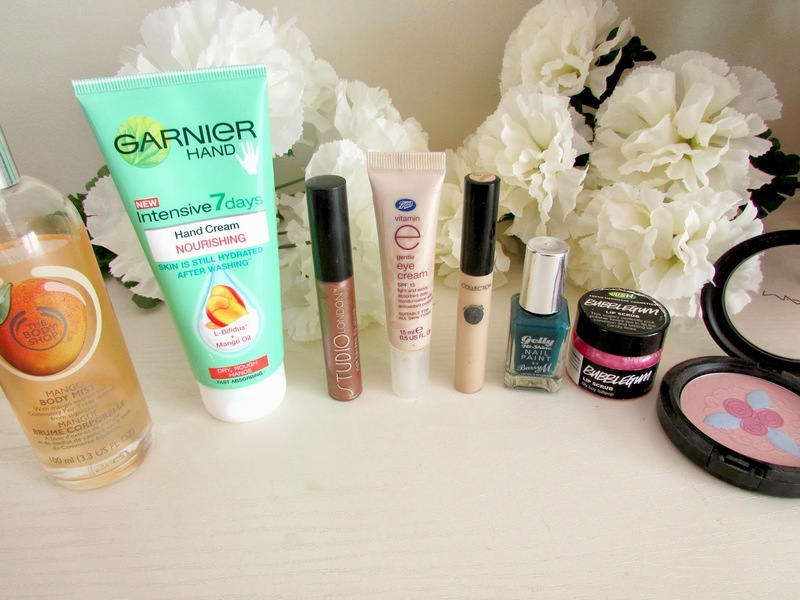 check out my favorites for the month? I completely agree with you, I hate the fact that we don't seem to make as much of a fuss about Halloween as the US. The bubblegum lip scrub from Lush is one of my all time favourites, having said that I find it hard not to just eat the whole lot! !